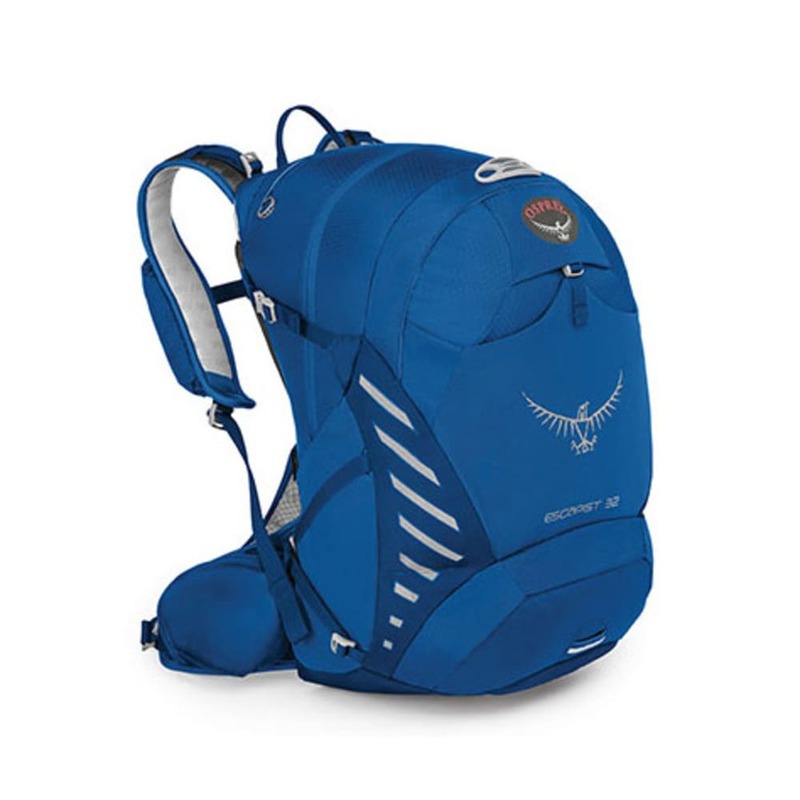 With plenty of space for carrying everything you need, the Osprey Escapist 32 is ready for epic long rides and multiday bike adventures. An internal organizer for bike-specific tools, LidLock helmet attachment, blinker connection point, and reflective detailing round out this pack's bicycle-oriented features. Dimensions: 22 x 11 x 10 in. Volume: S/M: 1648 cu. in.&lt;br&gt;M/L: 1831 cu. in. Weight: S/M: 2 lb. 1 oz.&lt;br&gt;M/L: 2 lb. 4 oz.